Flared Pants have been on my wishlist for quite a while but i never thought i would enjoy this trend that much because since i got them i found myself wearing them over and over again – a new obsession was born. You instantly feel like a 70s babe and i promise that the newer version of the throwback trend is definitely more elegant which you can rock from day to night. Since i’m not a huge fan of denim i opted for a different fabric which allows me to wear this amazing piece of clothing also during the summer time. 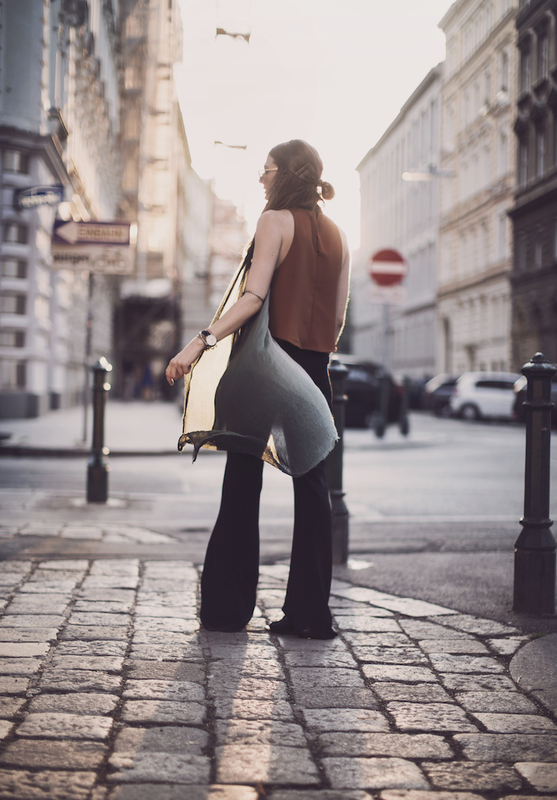 So what are your thoughts on flared pants – let me know! Really cute outfit! The pants are cool, but my favorite is the shirt and it's color - amazing!!! 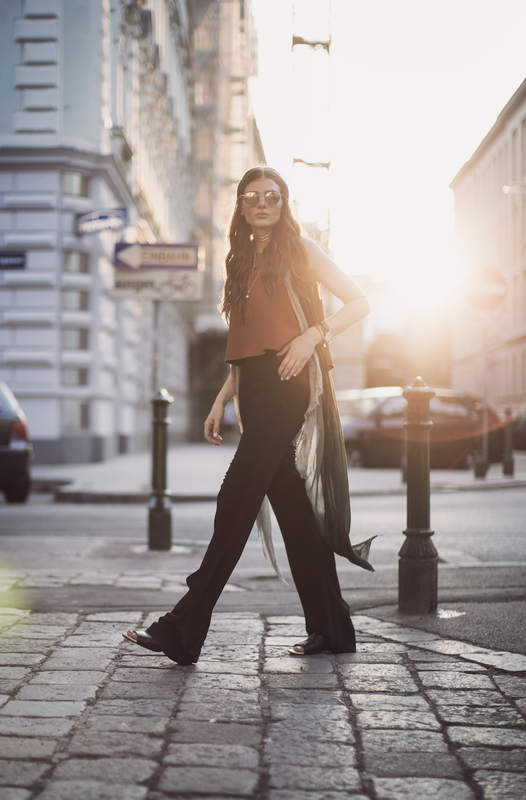 Totally have it with you when it comes to flared pants!! Great look - love the color combination a lot! You look so amazing!!! great look! Love you simple and beautiful style! Great tribute to the old times. I like retro style and believe more and more people will miss the flared pants.